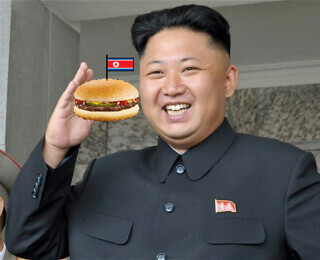 North Korea’s Supreme Leader Kim Jong-un reportedly wants a McDonald’s in Pyongyang. Guess he’s preparing for a Korean visit from U.S. Supreme Leader Donald Trump. In the meantime, you can get a burger at Pyongyang’s Munsu Water Park, but it will cost you $76. You want fries with that? 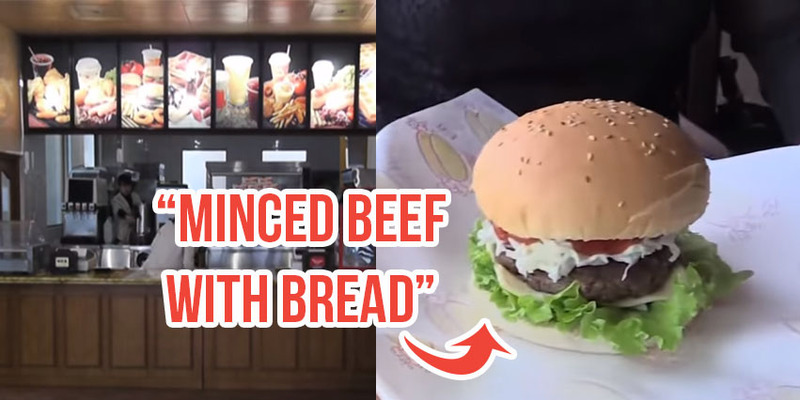 Actually, Kim Jong-un is said to fly in Big Macs from China for his own consumption, and the few ordinary North Koreans who have $2 to spare can get hamburger-like objects at Samtaesong Cooling Beverages in Pyongyang. 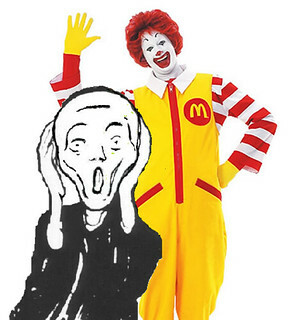 “McDonald’s and franchisees in the local markets are mindful of the current climate around clown sightings in communities and as such are being thoughtful in respect to Ronald McDonald’s participation in community events for the time being.” McDonald’s spokeswoman Terri Hickey. A couple of guys walked into a McDonald’s in Besançon, France on Sunday evening, but they didn’t come for the Boeuf Ranch Moutarde or Croque McDo. They robbed the joint at gunpoint. Among the 40 diners, however, were 11 off-duty members of Groupe d’Intervention de la Gendarmerie Nationale or GIGN (these guys), crack anti-terrorism police. As the desperadoes made off with about $2,000 in cash, one of them tripped and was disarmed by GIGN, who shot the other guy outside McDo’s when he didn’t drop his weapon. No diners or pommes frites were harmed during the take-down, and the injured burger bandit will recover. 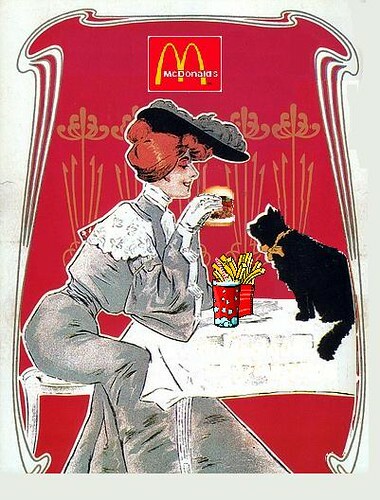 Image (“McDo et Chat”) by Mike Licht Download a copy here. Creative Commons license; credit Mike Licht, NotionsCapital.com. 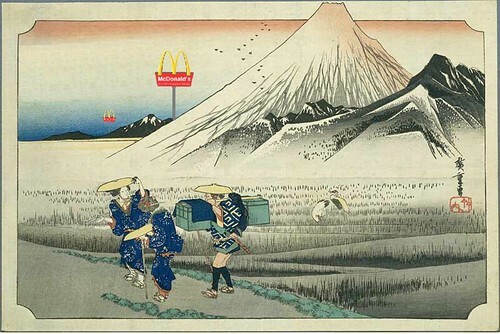 The culture of Japan, full of mystery. The Tea Ceremony. Zen Buddhism. Hello Kitty. And now an 18-karat gold Chicken McNugget. To mark introduction of two new dipping sauces, Fruit Curry and Creamy Cheese, McDonald’s Japan is giving away a solid-gold Chicken McNugget weighing 50 grams (1.8 ounces), worth about $1500. Clues are being dropped on Twitter.